The life of Skip Gerber - a Manhattan real estate lawyer nudging middle age whose life and career have stalled almost without his noticing - is turned upside down when a total stranger hands him a coat. Finkle has covered the arts for NY Times, NY Post, Village Voice, SF Chronicle, Nation, New Yorker, Time Out NY, Vogue, Harper's Bazaar and Huffington Post. 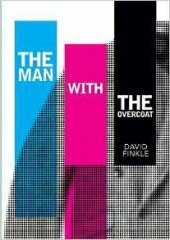 Finkle is a brilliant writer whose book The Man With the Overcoat reminded me very much of a 21st century, New York City version of Kafka's The Castle.